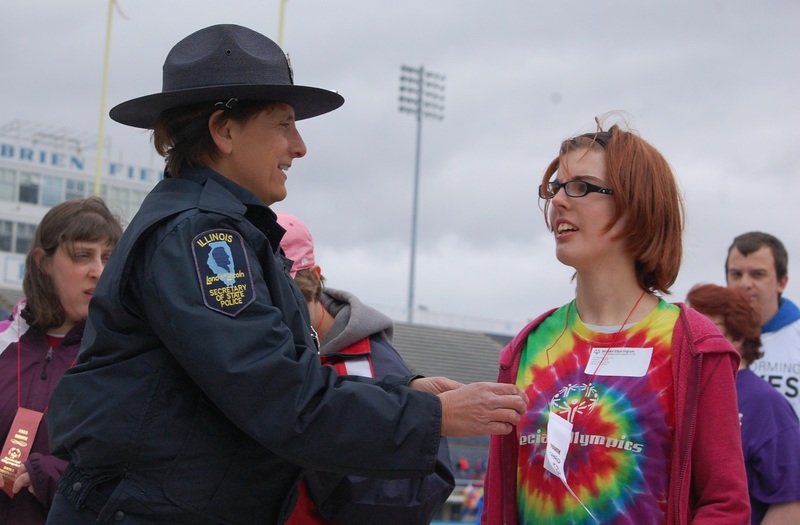 Brooke, 21, began participating in Special Olympics sports while attending the Armstrong Center, a school for children and adolescents with developmental disabilities and special education needs. However, after falling in love with the track & field events and competing for a few years at Spring Games, Brooke was informed that her school would no longer be participating in Special Olympics competitions. Brooke was undeterred by this news. She spoke to her family about her strong feelings of wanting to continue participating in the local events and activities offered by Area 9. Seeing how important it was to her, Brooke’s mother, stepfather and younger sister all rose to the challenge by becoming Class A volunteers, coaches and advocates for Brooke to achieve her goals. They are all now part of the Independent Ingram Special Olympics team. 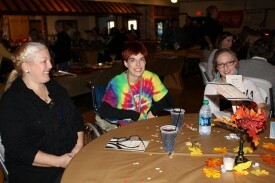 Brooke Ingram attended the 2014 Taste of Something Special event in a wheelchair. If having one setback wasn’t enough, prior to the 2014 Spring Games, Brooke was diagnosed with a severe degenerative neuro-metabolic disorder that would eventually result in loss of her mobility, increases in seizure activity, possible blindness, and loss of small and large muscle functioning. Again, this did not stop Brooke from completing in two events, softball throw and standing long jump, at the 2014 Spring Games. In fact, Brooke won the softball throw in her division, earning her the right to compete at the Summer Games last June. She stood proudly as she received her awards, knowing fully that it might be the last time she would be able to stand for the donning of her medal. According to her mother and head coach Connie Scott, Brooke’s physical deterioration following Summer Games was drastic. Connie said that Brooke started exhibiting a very unsteady gate, had difficulty with mobility and would not be able to stand or hold herself upright for any length of time. That eventually led to Brooke needing to use a wheelchair. 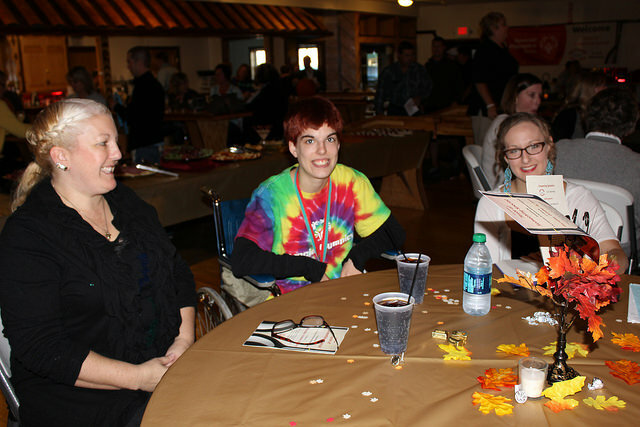 As an honored guest of the 2014 Taste of Something Special, Brooke’s arrival in her wheelchair was a shock for her many fans also attending the event. She bravely explained the nature of her degenerative condition to the few who asked, and smiled as she asserted “I’ll just have to learn to do wheelchair sports.” And that is exactly what Brooke did. During the past few months, Brooke has been practicing and conditioning for her first-ever wheelchair race at this year’s Spring Games to be held on Friday, May 1, at Eastern Illinois University’s O’Brien Stadium in Charleston. “She just keeps pushing herself to go faster or complete the distance without getting too tired. You can tell her arms wear out from pushing her chair, but she is usually willing to do it again if I ask. I’ve been really impressed with her determination,” said her mother. Brooke also has been altering her softball throw to adjust to the seated position in her wheelchair, and by all accounts, her practice throw measurements look like winning scores! For Brooke, winning the gold medal this year in her events would be amazing, but for those who know Brooke, she is already golden. Brooke has achieved a greater success in life than any medal could signify. By accepting the challenges that faced her this year and striving to overcome those obstacles, Brooke will compete and be a part of the sport that she loves. She will continue to be an inspiration, a role model, a champion, a Special Olympics Illinois athlete.